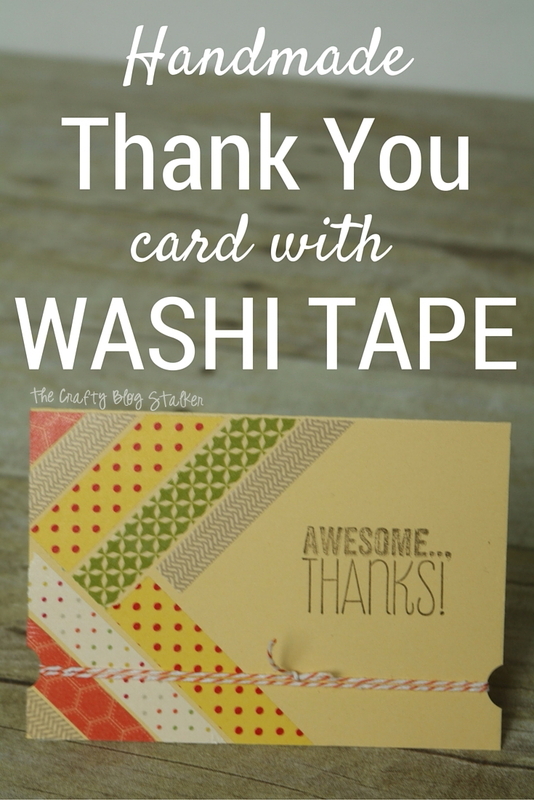 Make and GIVE a super simple Handmade Card using washi tape and supplies you probably already have on hand! A simple DIY craft tutorial idea. I absolutely love to receive beautiful handmade cards. It makes me feel special and I know the person giving me the card really took the time. Do you feel the same? The only problem is I don’t always have the time to sit down and make a beautiful and elaborate card. I’m going to let you in on a little secret… It doesn’t have to take hours! 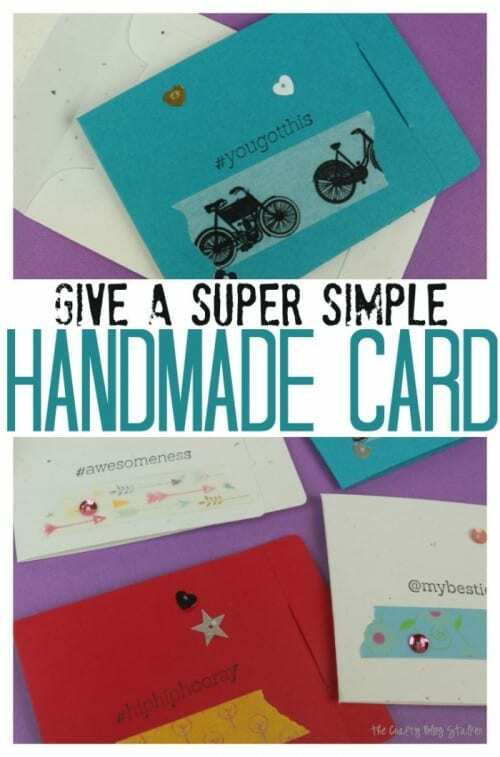 I made this set of six super simple handmade cards in about 20 minutes from start to finish. I used random supplies I already had, and I bet you have some pretty similar items laying around too. 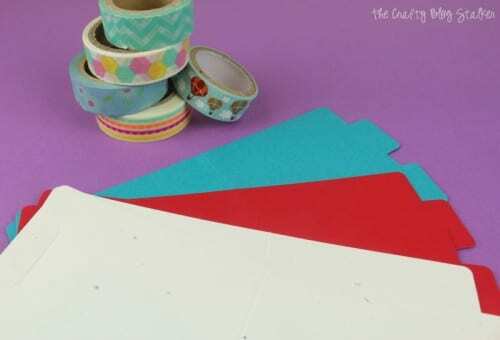 If you don’t have the supplies on hand, I have included a few links in the text to where you can purchase your own similar items. For starters, I have a big plastic tote full of blank cards and envelopes that I have picked up on clearance here and there. 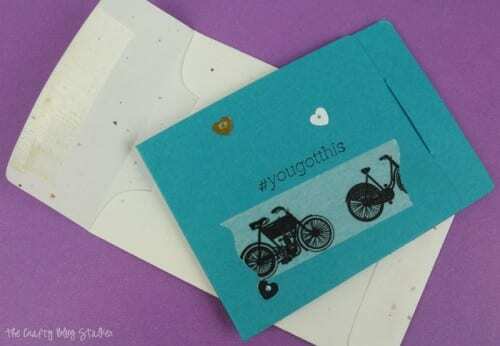 But you don’t really need NEED the envelope, you could even cut some cardstock to the size you need. My finished cards measured 3.5 x 2.5 inches when folded in half, and that is a great size for small notes. 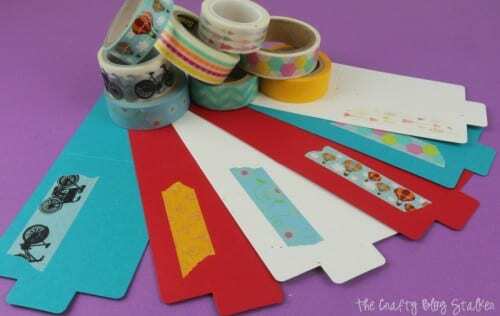 I also have loads (and loads) of washi tape to add a bit of color and pattern to my cards. Tear off a strip of about two inches and lay it across the front of the card. 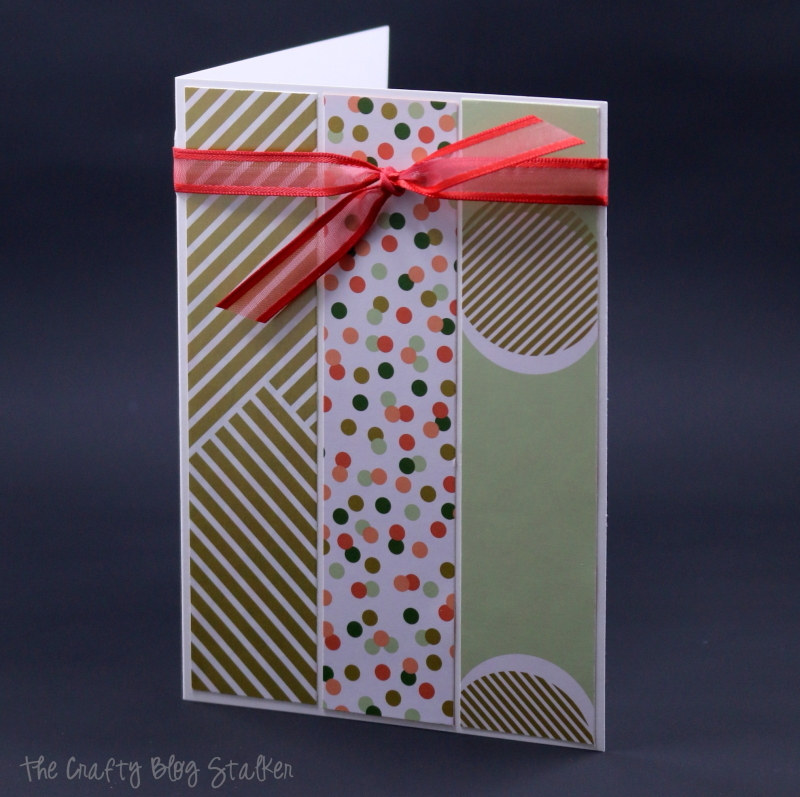 I also wanted to add a very simple stamped greeting to the front. 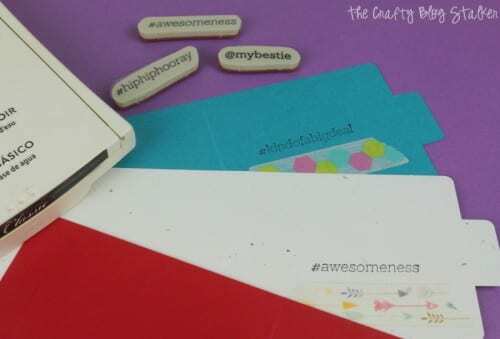 I used this fun SoSocial stamp set from Stampin’ Up! but any greeting stamp set would work. Don’t have stamps and ink? That’s okay. Write it with a black marker! That will add to the personalization making it even more handmade. Remember, we are the only ones that don’t like our handwriting. Everyone else does, it is a part of you! Seriously, these cards came together so fast and they are so stinking cute! Now I can feel really good about giving my friend a thank you note for lending me that book. I am making it my mission to give away the other 5 cards within the next week. I hope to make some friends and family feel loved and special. Then, I will be able to make more cards! It pointless to make cards if we don’t give them away! Do you have everything on hand to make these cards? Sit down and use your supplies! 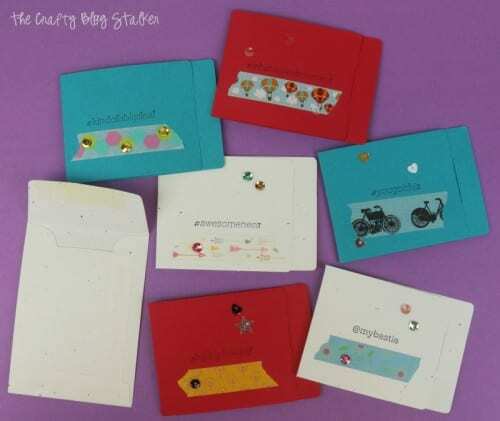 Who will you make a card for? Share and leave a comment below. I love these! 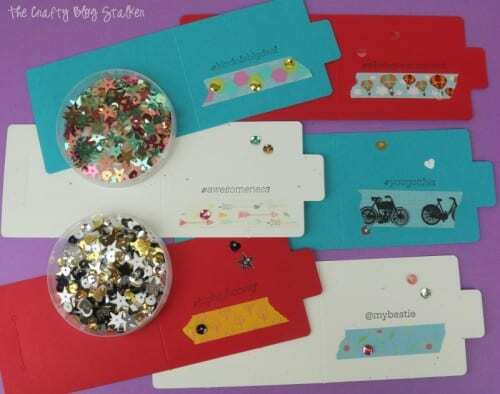 Handmade cards are so much fun to make and give away, and these are super cute! I found you on the Home Matters link party, thanks for the inspiration! Kelly, Thank you! I am so glad that you like the cards! They were really a lot of fun to make.